Women are often reluctant to try weight training as they feel as though it will make them look bulky. This is not the case. The right weight lifting routines for women will help women keep their weight down and look toned. Unless a woman is a seasoned gym goer, it is unlikely that she will know how to get started with weights. In fact, she may even feel nervous! There is no need to feel this way as almost every gym has personal trainers who can help women develop the perfect cardiovascular and weights routine for their needs. During the first consultation with the trainer, the trainer will take the woman's measurements and weigh her. Then he or she will ask the woman about her fitness and/or weight loss goals. The next step is developing a workout routine to help the woman meet these goals. When its time to set up the weight routine, the trainer will bring the woman to the machines and tell her how to use them. This is important as using the machines incorrectly could lead to injuries. 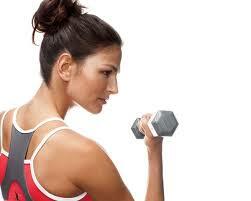 The trainer will list how many sets and repetitions the woman will need to do on a piece of paper. She will need to follow the routine for a few weeks and then she will meet up with the trainer again. If the routine is no longer challenging, a new one will be drawn up. The woman will start to see results within a few weeks. She will start to feel stronger, leaner and sexier. Those who are hesitant to work out with weights should try it for a couples of weeks. Most women who have done this have not been let down with the results.